​SALE! 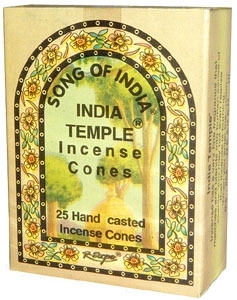 Song of India incense sticks on sale until the end of January 2017! 150 gram pack is $6.00 and 60 gram pack is $2.75. This helps to support R.Expo, a company that uses a portion of proceeds from this incense to support girls and boys in need in India. What the world needs now is more support of great companies! Sacred Feather Sage on sale just in time for Summer Solstice! Grey sage or sacred feather sage is used by some in smudging ceremonies. Some say it is less potent than white sage; some prefer it. Give it a try, you might just love it! On sale at Violet and Company for $4.00 for an 8 inch stick. Leave a comment and let us know which sage you love and why! This Amber resin is a rich, dark color and the smell is incredible. We did an experiment this week and put some of this amber in an aroma lamp with water and it smelled great! Also wears well on skin and burns great on charcoal. Morning Star Lavender Incense on sale! Morning Star Lavender on sale $2.85! 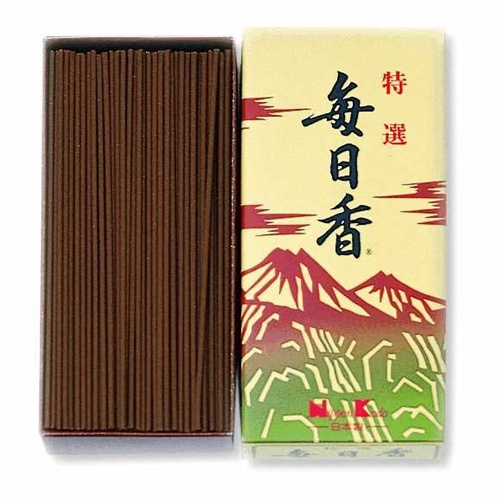 If you have never tried Japanese Incense, now is the time. Nippon Kodo’s Morning Star Lavender infuses the room with a delicate lavender aroma. The sticks, like all Morning Star, have no wooden bamboo core, they are pure incense. Each package of incense comes with a little ceramic incense holder. The sticks are delicate, perhaps 3 mm thick, but they burn slowly. And if they should break, no matter, they burn at any size! We like standing 5 or 6 of them up in a little dish full of sand. It is a visual and olfactory treat! Anand Ganesh Incense is one of our favorites of all time. It has a sweet, rich, buttery aroma that reminds one of a big buttery maple bar. It is a fluxo incense and fluxo denotes masala incense, or natural mixture of powders, woods and flowers to create an incense “dough” that is pressed onto a bamboo stick. Fluxo are sometimes a little more smokey than other incenses, but it is well worth it. I love looking at the sticks, as no one looks the same. The incense “dough” is folded around each stick differently, lumpy in some spots and smooth in others. 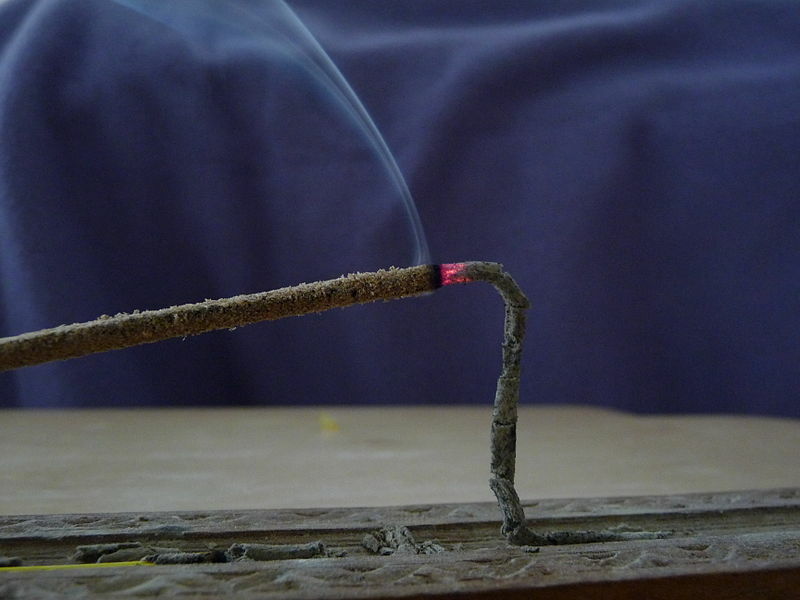 It is such an organic, earthy looking incense! Anand Ganesh Special Fluxo, on sale for $1.25 this week at Violet and Company Incense. Don’t forget to get your incense and candles at 10% off by shopping at Violet and Company before Black Friday! Low shipping and 10% off means big savings on your Nag Champa, India Temple incense, Dragon’s Blood resin and anything else you have been meaning to get! Tilak & Kama Love and Attraction in the U.K.
We want to celebrate our U.K. customers today! Violet and Company Incense sells incense all over the world, and we recently had the good fortune to have some of our Ramakrishnananda’s Gifts go out to the U.K. Some went to England, some to Ireland and the customers were wonderful! We hope to have more customers in the U.K. and hope that more Ramakrishnananda’s Gifts go to the U.K.
We have created a 10% off sale for all Ramakrishnananda’s Gifts products, including Attar oils and Incense to extend a thank you to our U.K. customers. Sale ends November 7, 2012.